Rodney A. Grant as "Quentin"
Two teenagers are put to the test when the plane taking them to a wilderness boot camp for juvenile offenders crashes into the vast Sierra wilderness. Their pilot Quentin(Rodney A. 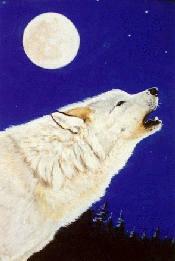 Grant) , injured and unable to make the dangerous journey, teaches them the ways of his ancient people and to have faith in the Spirit of the White Wolf as well as themselves. The teenagers are forced to face the dangerous trek alone with only the clothes on their backs and the Spirit of the White Wolf.